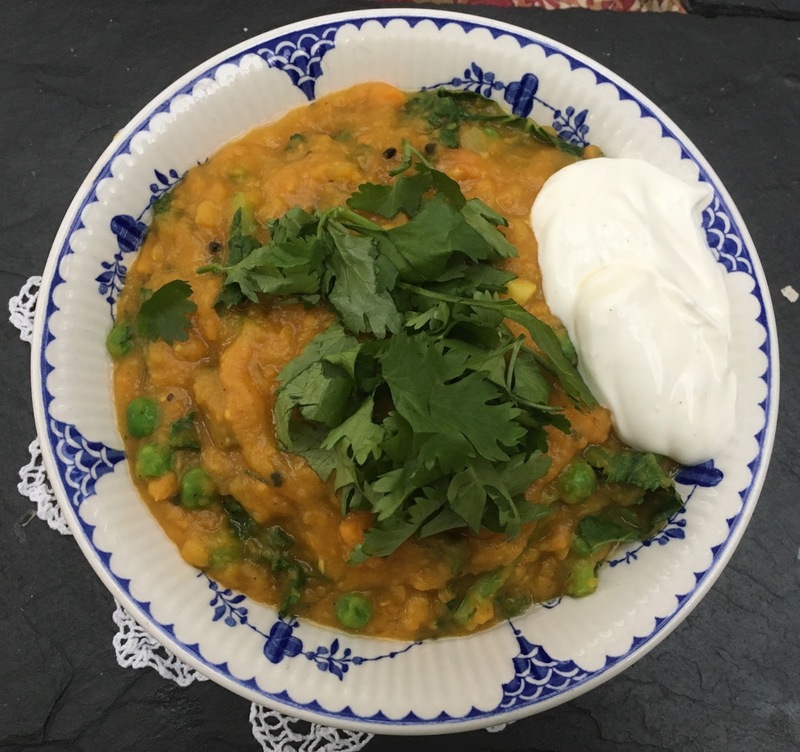 I wanted something super healthy when I came out of hospital, so I helped my Mum make this delicious curried lentil and sweet potato stew. 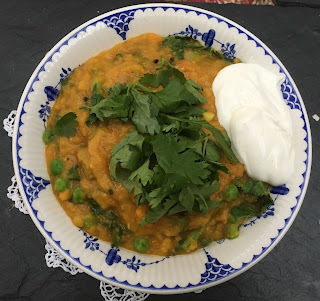 It was lovely comfort food and the yoghurt really cut through the flavours. Heat the oil in a large pan over a medium heat. Add the onion and a few pinches of salt and pepper and cook for about 5 mins until soft. Add the carrots, garlic, ginger, and sweet potatoes and stir. Add the curry powder, cardamom, and season. Stir again and cook until the spices are fragrant, about 1 min. Add the lentils and stock. Reduce the heat and simmer until the carrots and sweet potatoes are soft, 20 to 30 mins. Meanwhile, mix together all the ingredients for the yogurt sauce. Use an immersion blender (or a potato masher) to coarsely blend the stew. Add the green beans, peas, and spinach and cook for another few mins. Add the lime juice, lemon juice and chilli flakes and stir to combine. Divide into 4 bowls and sprinkle with coriander. Serve with the yoghurt sauce.